The Alexander Albion / Leyland Lowloader was a response to the low floor Bristol FLF & Dennis Loline. These vehicles proved extremely popular with Scottish operators, something which has been well reflected by Britbus' choice of operators for it's initial releases. Small batches of vehicles also operated south of the border with a select number of operators including Southend & Ribble. 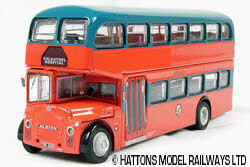 The Alexander body fitted to the LLA & LLB versions differs in design around the front destination box area, the LLB version has a slightly shorter panel and a more noticeable slope on the nearside canopy above the engine bay. 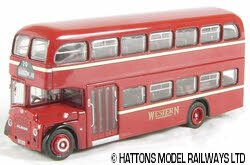 The body is very similar to that fitted to the Dennis Loline models and like these both Lowloader versions have poseable front wheels & opening bonnets.